남양주 수종사 팔각오층석탑 출토유물 일괄은 조성 발원문과 불상 대좌 밑면에 새t겨진 명문을 통하여 조선시대 15세기 후반과 조선시대 1628년경에 각각 조성되었을 것으로 추정된다. 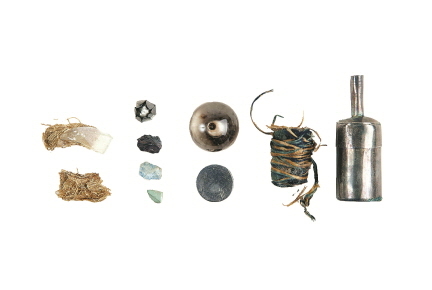 불감은 많이 부서지긴 하였지만, 조선시대 초기의 불감 형태를 이해하는 데 도움을 줄뿐만 아니라, 불감 안팎에 표현된 도상들을 통하여 당시 불교 도상 연구에 기준작이 된다고 할 수 있다. 즉 불감 내부 정면에 표현된 삼신불의 도상, 가늘고 긴 조선시대 초기 탑의 조형, 불감 외부 양 옆면의 관음보살상과 지장보살상의 그림, 뒷면의 불설법도 등은 조선시대 전기에 유행했던 도상들과 연관된다. 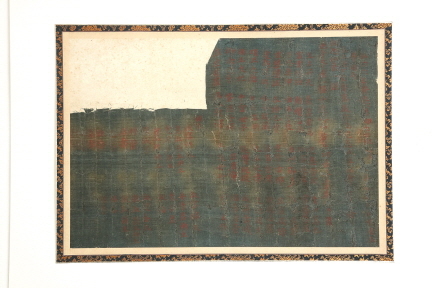 함께 발견된 조성 발원문은 이들 일괄품이 조선시대 왕실과 밀접하게 관련된다는 것을 알려 주고 있는데, 특히 금동비로자나불좌상의 대좌 바닥에 새겨진 명문을 통하여 이 불상의 발원자가 정의대왕대비(貞懿大王大妃)라는 것을 알 수 있다. 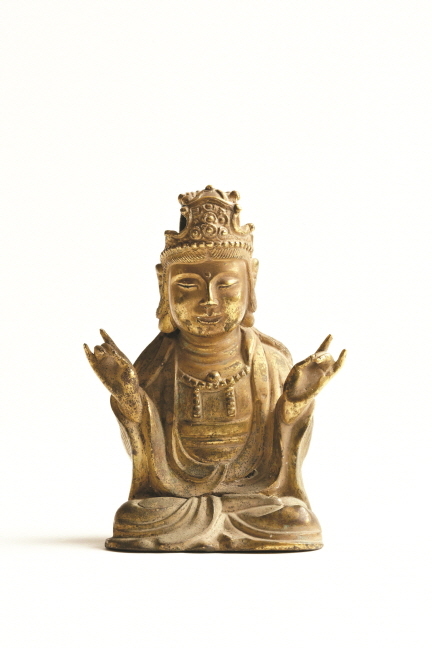 또한 명문에 기록된 화원 성인(性仁)은 17세기 초에 활동했던 조각가로서 서울 지장암 비로자나불상을 만든 사람과 동일한 인물일 가능성이 있어서 주목된다. 15세기 불상으로 보이는 일련의 상들은 고려 후기 불상의 전통을 계승하고 있는 듯하며, 17세기 불상으로 편년되는 웅크린 자세의 무거운 존상들은 비례가 맞지 않아 약간은 해학적인 면도 없지 않으나 시대상을 반영하였다는 점에서 주목된다. 수종사 불감 및 불상 일괄은 수종사 탑에 납입될 조선시대의 상황과 발견 당시의 정황을 알 수 없고, 함께 봉납되었던 것으로 추정되는 불상들이 여러곳에 흩어져 있는 상태이지만, 조선시대 초기의 왕실 불교미술을 대표하고, 발원문과 명문도 수반하고 있다. 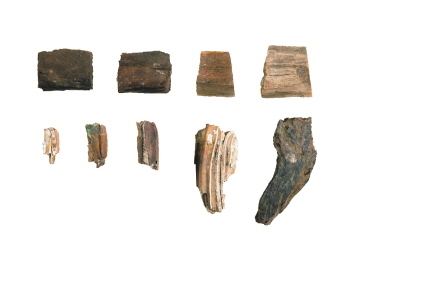 The Artifacts Excavated from the Octagonal Five-story Stone Pagoda of Sujongsa Temple, Namyangju, are presumed to have been produced in the late 15th century and around 1628 (the 6th year of the reign of King Injo during the Joseon Dynasty). 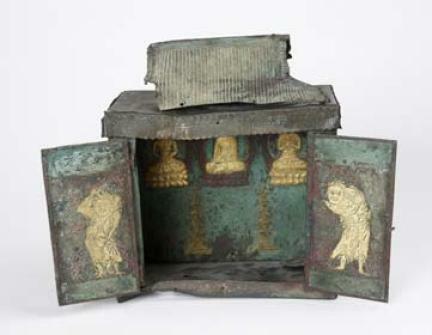 Though the portable shrine is seriously damaged, it nevertheless furthers understanding of the structure of portable shrines of the early Joseon Period. 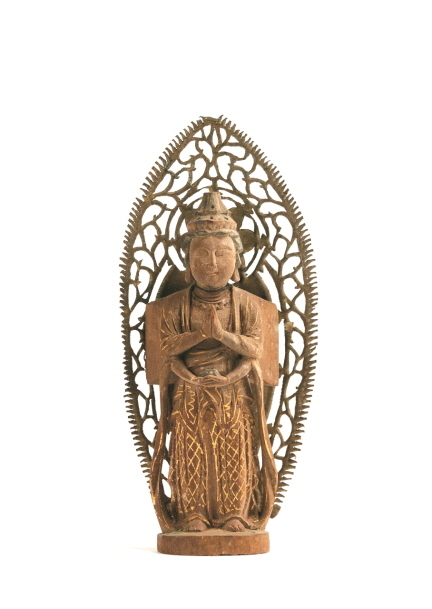 In addition, the figures and decorations of the shrine provide various items of information about Buddhist art of that period. 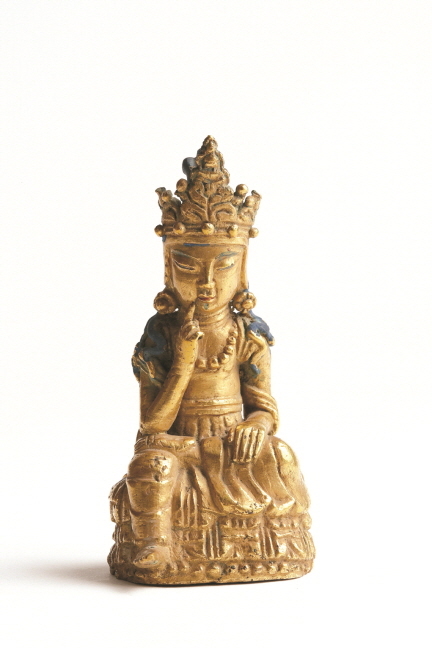 For example, the two narrow and tall pagodas depicted on the portable shrine display the typical style of pagodas erected in the early Joseon Period, and the Buddhist painting on the back was prevalent in the same period. 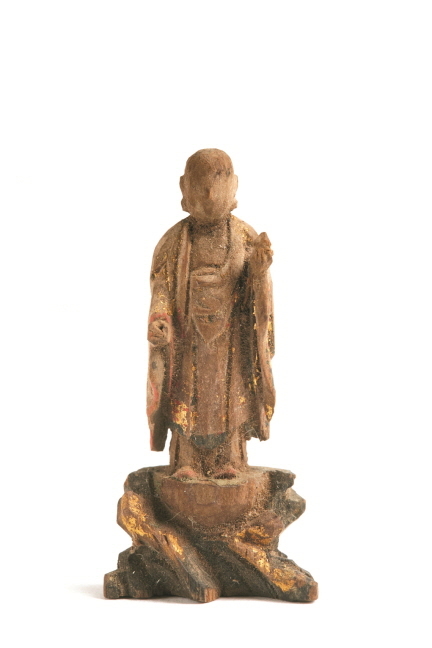 Furthermore, the Buddhas of the Three Bodies at the center of the portable shrine and the paintings of Avalokitesvara Bodhisattva and Ksitigarbha Bodhisattva on both sides of the portable shrine were also very popular subjects for statues and paintings in the same period. 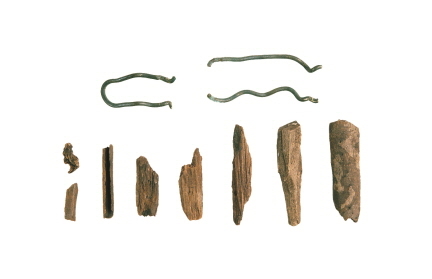 The letter of invocation excavated with the portable shrine reveals that all these artifacts were closely related to the royal family of the Joseon Dynasty. 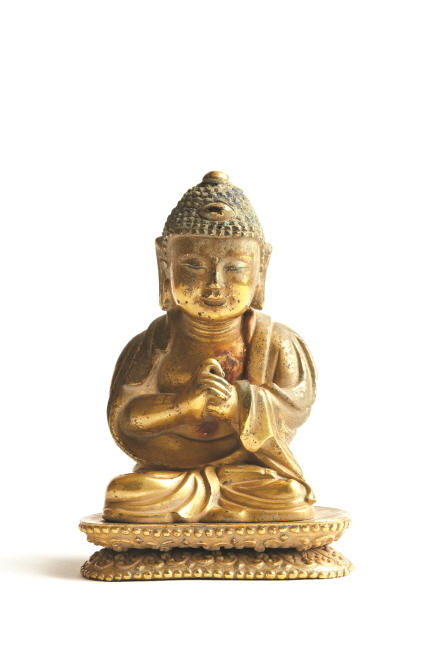 Notably, according to the inscription carved on the bottom of the pedestal of a gilt-bronze seated Vairocana Buddha, this statue was produced at the request of Queen Dowager Inmok, who was one of the consorts of King Seonjo, the fourteenth ruler of the Joseon Dynasty. 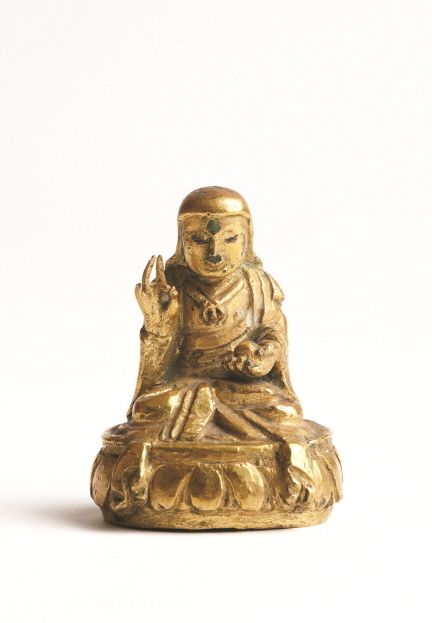 The inscription also includes the name Seongin, who was a sculptor during the early 17th century, which is worthy of special attention as he is possibly the same person who made the Wooden Seated Vairocana Buddha at Jijangam Hermitage. 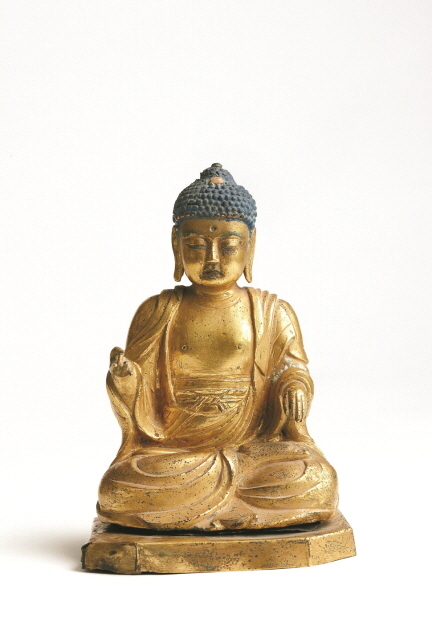 These statues, which are presumed to date back to the 15th century, appear to have inherited the tradition of Buddhist statues made in the late Goryeo Period, while the statues dated to the 17th century are noteworthy in that they show the social status of Buddhism at that time. 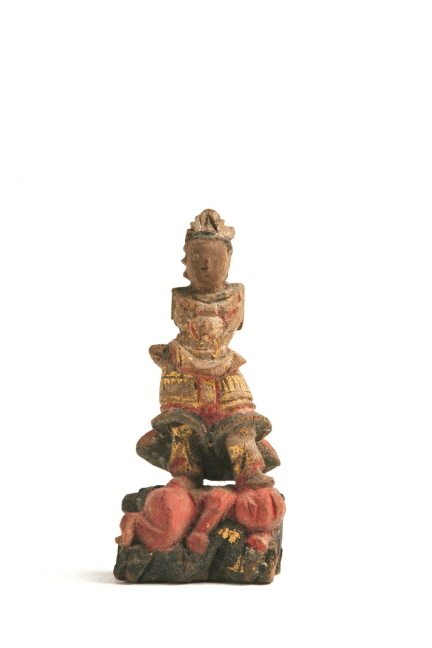 It is not known how the portable shrine and Buddhist statues were enshrined altogether in the Octagonal Five-story Stone Pagoda of Sujongsa Temple, but they are regarded as valuable assets as they represent the type of Buddhist art enjoyed by the royal family of the Joseon Dynasty.